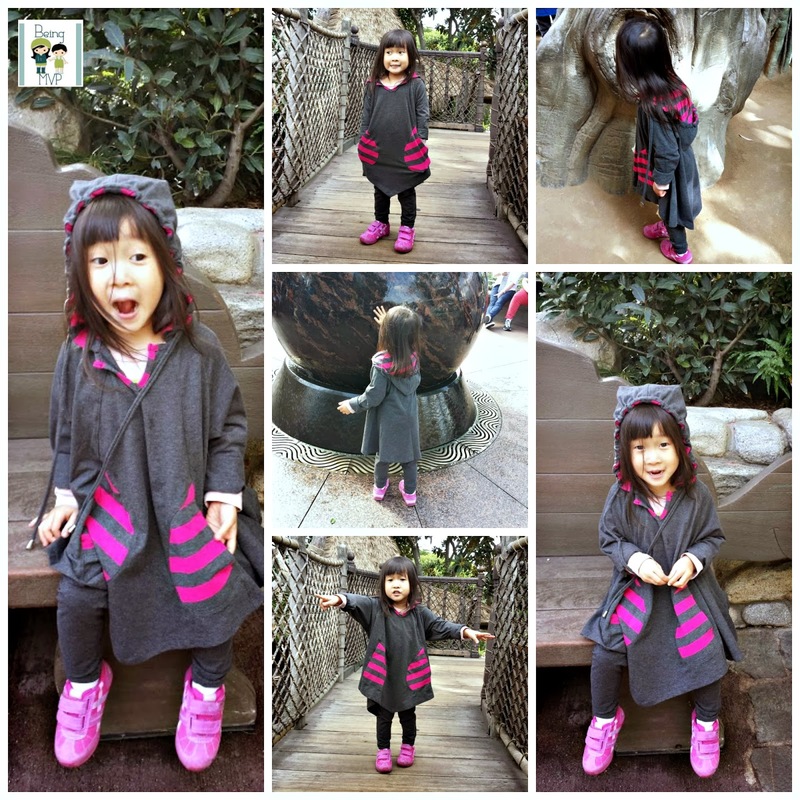 being MVP: Kidcuteture: Dalia Tunic Hoodie & Leggings + Giveaway! Kidcuteture: Dalia Tunic Hoodie & Leggings + Giveaway! Disclosure: I was sent the following outfit from KudCuteTure for review. All opinions are 100% my own! "KidCuteTure clothes stand out on the strength of their truly unique designs. We imagine and then custom-create classic colors that embody timeless, European sensibility. We have fun creating beautiful and deliciously surprising embellishments. 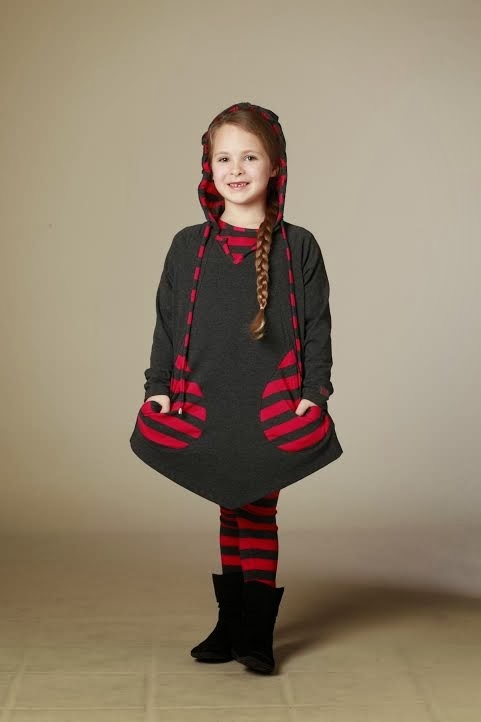 All KidCuteTure designs are crafted from the finest cotton and silk fabrics." If you are looking for unique designs that your tot can easily play in then KidCuteTure is the place. Their unique line is so girly and has a European look. Kenzie is wearing the Dalia Tunic Hoodie ($80) with charcoal leggings ($28) in Size 4. It's a wee bit larger on her but rolling up the sleeves, she was able to play with no problem. The Peruvian cotton is super soft and light. The tunic style is really adorable with an oversize look but the skinny leggings even the design out. I love the contrast of the stripes on the pockets and hood with the pop of pink color. The hoodie is easy to layer with a tank or tee underneath for extra warmth during the winter months. I love the whimsical designs of the party dresses and we had some sort of event to go to, Kenzie would look precious in the Sonya dress. These clothes are made for the gal who is picture perfect yet play ready. Make sure to connect with KidCuteTure on Facebook and Twitter! One Winner will Receive the Dalia Tunic Hoodie in charcoal with Charcoal leggings! The mailing list is for wholesalers or retailers, not for customers. And Im getting an error message trying to join it anyways! I also like their Gerbera Tunic and Leggings Set in Marmalade/Berry. I LOVE the Elaine Dress in Milk/Charcoal! I like the Mercedes dress in charcoal. I love the Daria dress! Love the Linda dress in sky! I love the Tiana dress in sky! Love the KIDCUTETURE SPRING 2014 line! So adorable! I love the Kara Dress in Charcoal!! I like the sweet pea tunic and leggings! These are so cute, I would love this for my daughter!